One of the NMCWM’s recent donations is an original plate taken from the “Atlas to Accompany the Official Records of the Union and Confederate Armies,” which is also referred to as the “War of the Rebellion Atlas.” This atlas was published by the Government Printing Office in Washington D.C. in 1895, and was compiled by Captain Calvin D. Cowles of the 23rd U.S. Infantry. It was published in 36 volumes, and contained 175 plates of maps, illustrations, and technical drawings from both Union and Confederate sources. 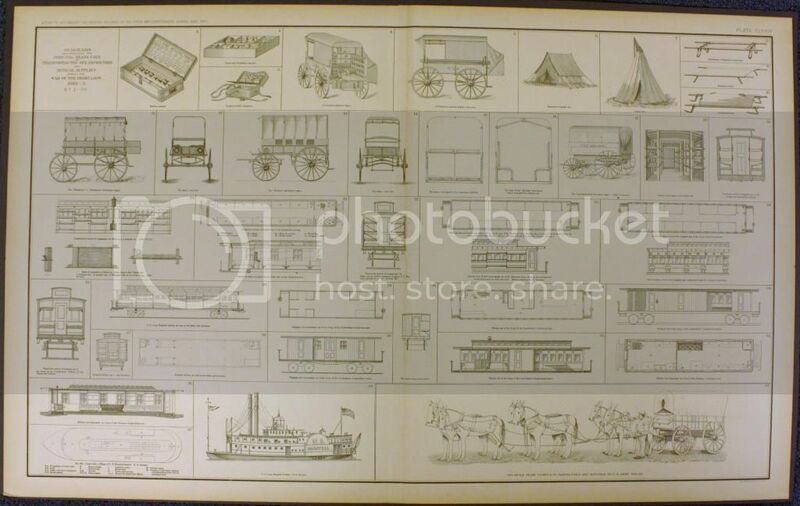 This particular print is titled, “Diagram Illustrating the Principle Means Used in Transporting the Sick and Wounded and Medical Supplies during the War of the Rebellion, 1861-5.” It’s certainly something we can use at the National Museum of Civil War Medicine! 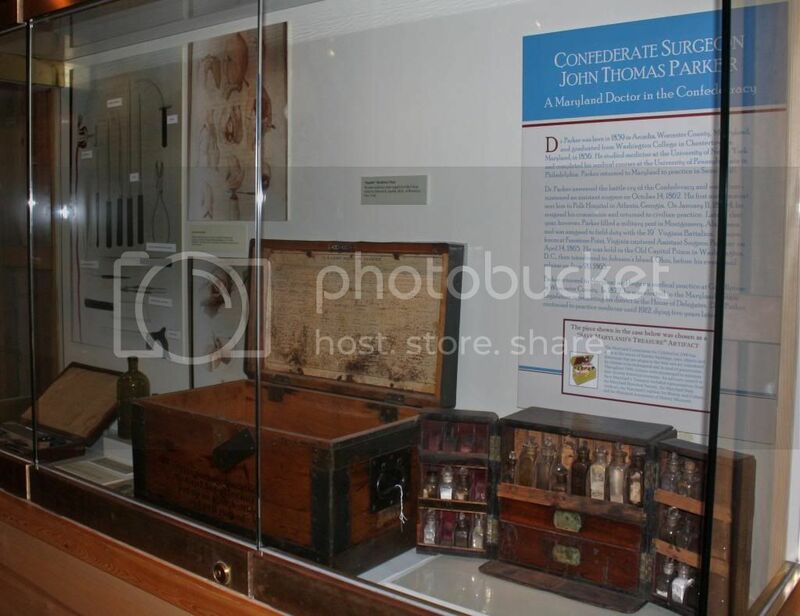 It contains 39 individual illustrations of Civil War medical care and transport items, some of which we have on exhibit at the museum, including various stretchers, a U.S. Army medicine pannier, and a field medical kit. The Squibb medicine pannier fits well into one of our cases. 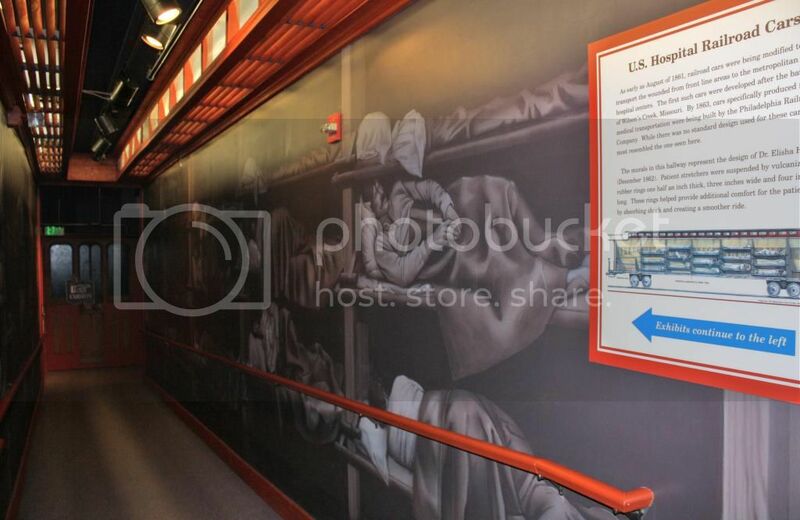 However, many of the other items illustrated, including a hospital ship, an Autenreith medicine wagon, ambulance wagons, hospital train cars, and an Army wagon and mule team, simply wouldn’t fit into our display cases, or even our galleries. Or would they? Take a look at how we managed to display some of these larger items. 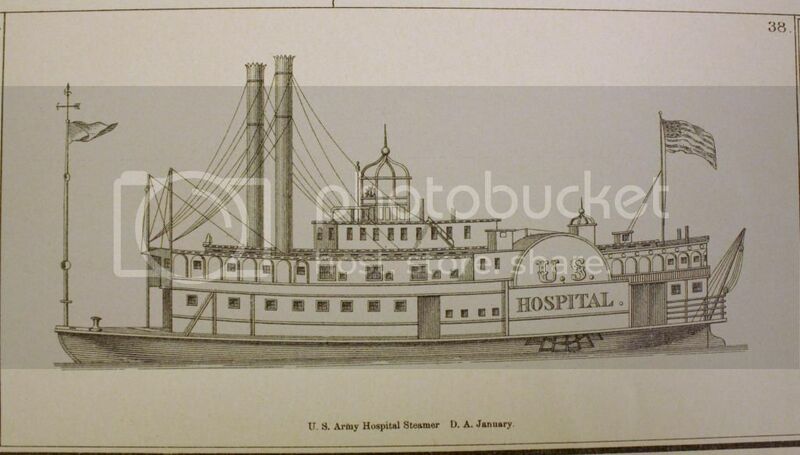 Diagrams like this one of a Civil War hospital steam ship are certainly one way to show an item which would be too large to bring into the museum building…. A real Autenreith medicine wagon wouldn’t fit in the museum. So, we could show visitors this diagram of it…. 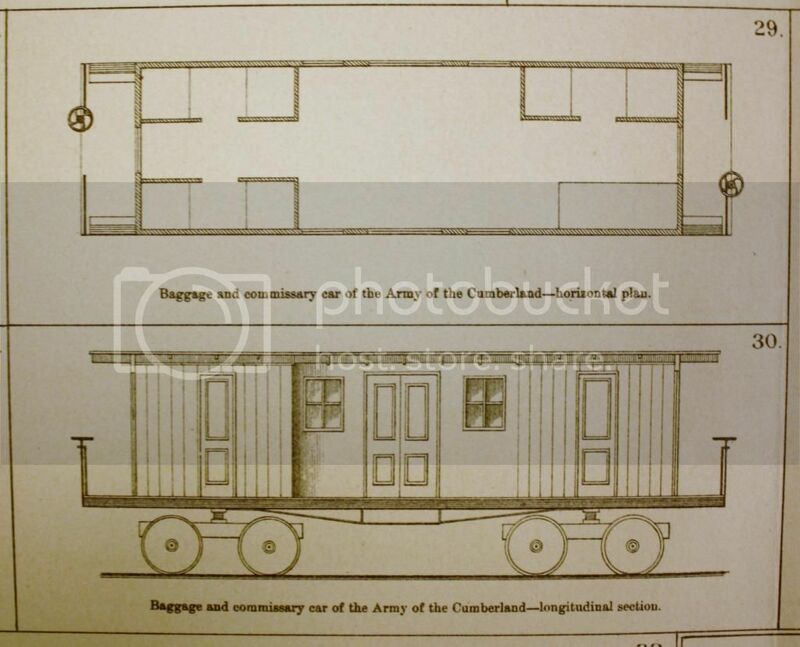 ….or we could have just the back portion of an Autenreith medicine wagon reproduced and installed on a wall. 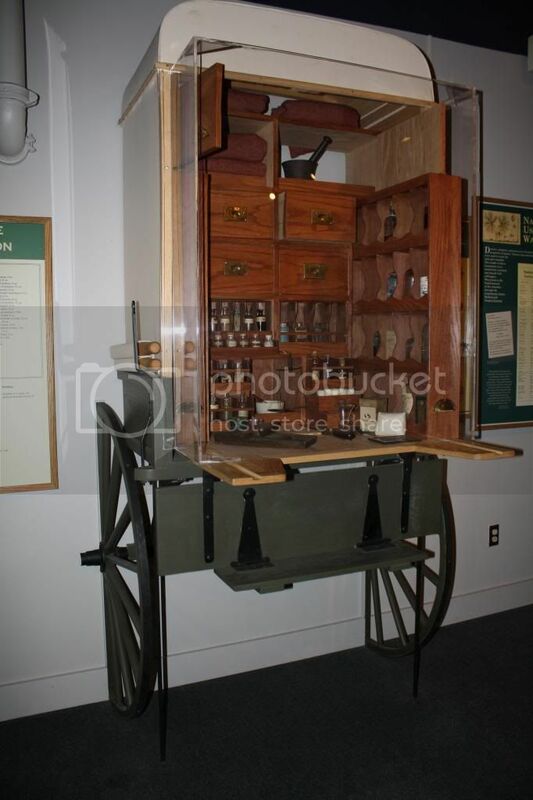 With the addition of a Plexiglas cover over the back, we can also display some of the original medicines and supplies which were contained in the wagon. While it isn’t an original wagon, it certainly shows how these wagons functioned. A full-sized railroad car is certainly too large to fit into most museums,…. 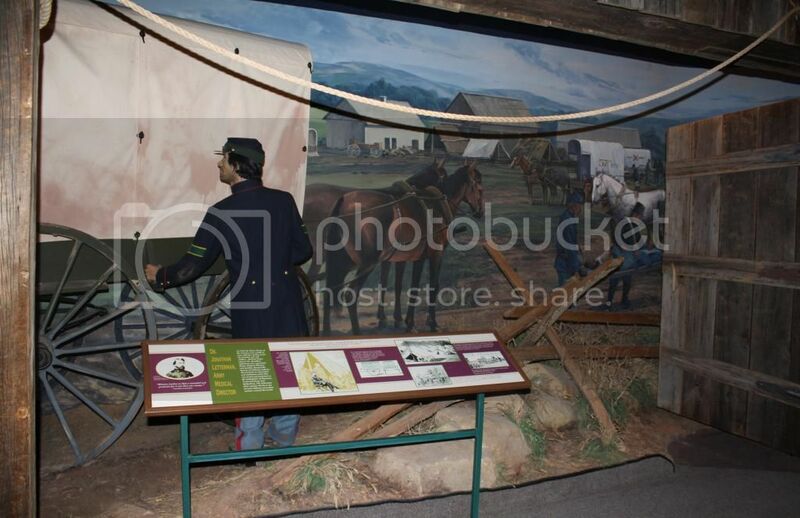 Though I’m sure everyone would love to see real mules hitched to a real Civil War army wagon…. ….we can’t have animals in the galleries with the artifacts! The horses and mules painted on this mural do still show how the wagons were moved. 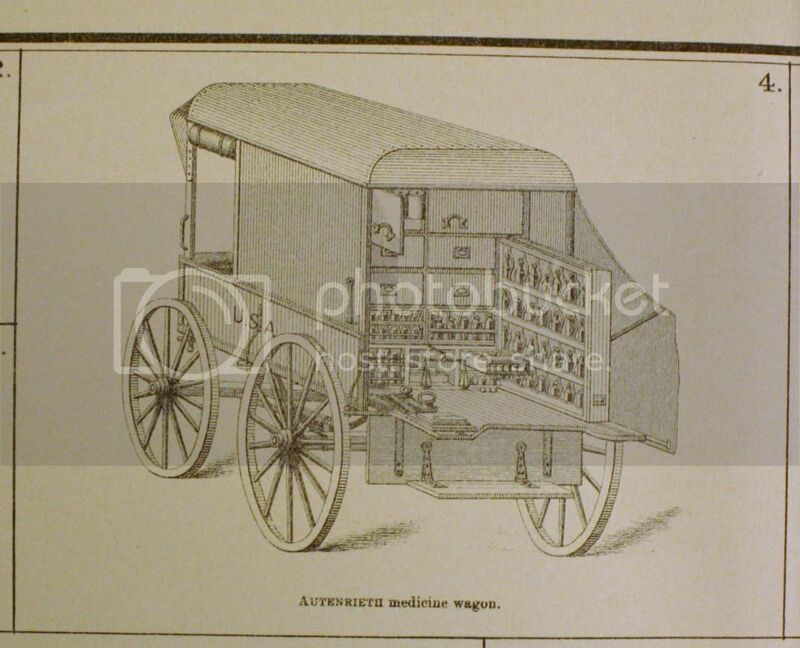 In this case, it is a reproduction of an ambulance wagon, or more accurately, HALF of an ambulance wagon. The other part of the wagon is incorporated into the mural in order to save space. Finding creative ways to display these over-sized items can certainly be challenging, but I think our team here at the NMCWM has done a great job!